If you live in Dunlap, IL and are in need of a restoration or renovation contractor for your property, contact the professionals at Kelley Construction Contractors, Inc. You won’t even have to drive into the city to meet with us – we can come to you! Our goal is to provide quality, affordable restoration and renovation services, along with the best customer service experience. See for yourself why we are the leading restoration contractor in the Peoria metro. We guarantee you will be satisfied with your results! A property fire can leave you feeling hopeless and not sure where to turn. Our team has years of experience in fire damage restoration for properties of all sizes. When hail strikes the Dunlap community, we are the crew to call. 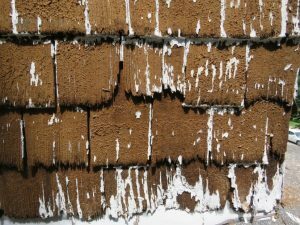 We will provide professional inspections and hail damage repairs for all areas of your property. As a midwesterner, you experience winter, spring, and summer storms, all of which can be damaging to your property. We can help with our wide variety of storm damage repair services. Little is worse than knowing water is going to get into your property with nothing you can do about it. Luckily, we are flood damage repair experts and are ready to help you through the aftermath. As if broken pipes and appliances aren’t enough, water damage often affects other areas of your property including ceilings, walls, and floors. No matter where the damage, call us to help. Trying to scrub away a mold infestation only puts a bandage on the issue. Let Kelley Construction Contractors, Inc. provide professional, lasting mold remediation. Waiting to have your property’s damage inspected not only could leave to further, more expensive damages, but it can also affect the insurance process. We have extensive experience in insurance restoration and can help you with that entire process, as well. Contact us today to schedule your free estimate. Upgrade your interior with a new kitchen. Even something as simple as a kitchen remodel can drastically improve your property’s value. Considering finally getting rid of your old grimy shower? Or may even adding on another bathroom? 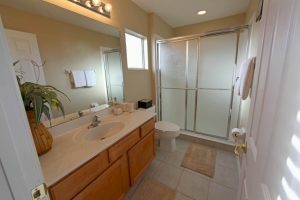 No matter what type of bathroom remodeling, we can handle it. Most midwestern properties have basements, but not everyone utilizes them. Learn more about how we can provide a basement remodel that will give you increased living space. Do you like to sit outside but hate the pesky mosquitos? A sunroom addition may be for you. Learn more and contact Kelley Construction Contractors, Inc. for an estimate. Even if you are just in the consideration phase of a property remodel, let us help you through the process of designing your space, choosing materials, and providing pricing. Then, when the time is right for you, we will also provide the remodeling construction services to go along with it. Contact us today to get started! &COPY; Copyright 2018 Kelley Construction Contractors, Inc.
All Rights Reserved - Kelley Construction. Servicing Pekin, Peoria, Bloomington & surrounding areas.